These hills in Fairfax, CA are like golden thimbles and are so sweet, it seems honey would pour out if you pricked one. Come on a meander up the hill with my daughter and I. 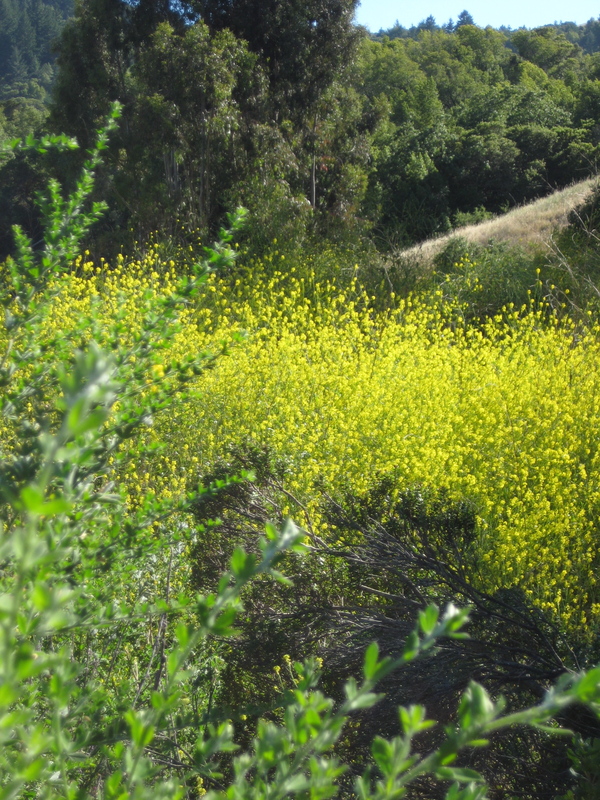 Walk by a stand of wild Mustard. Let the gold of the warm hill and the flowers put you in touch with the sweet honey inside you. 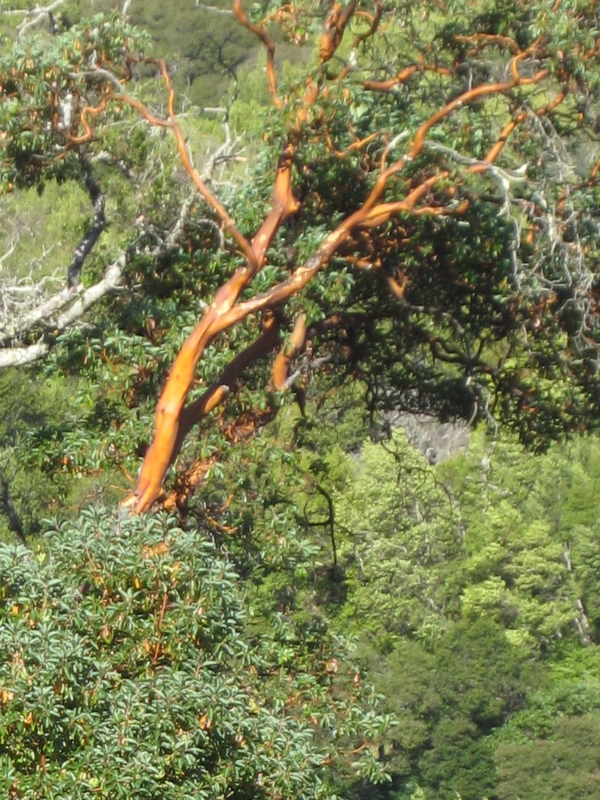 Further up the hill, this California Madrone tree trunk inspires us further into the contemplation of warm gold, now mixed with orange. Feel how your body can move with with the golden grace of the Madrone. 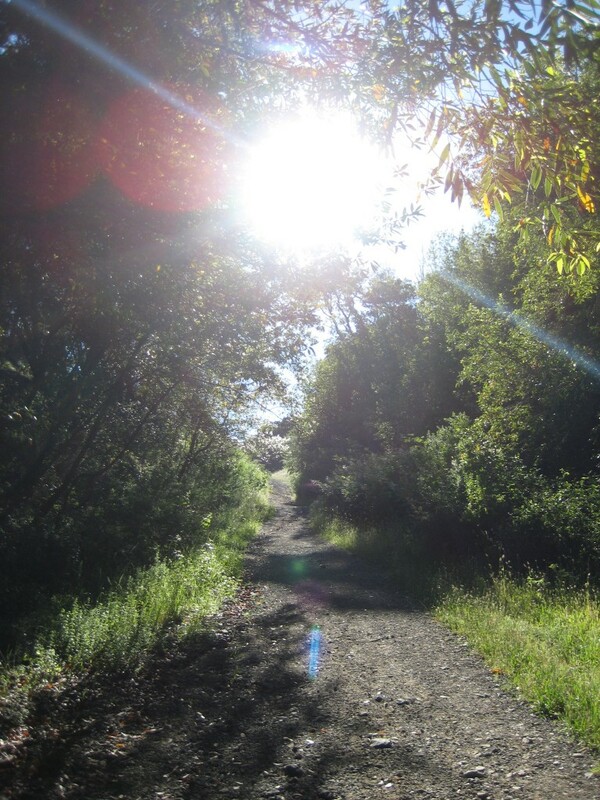 As we walk up further into the golden sun, other colors come down to play with us. Gaze at the orbs near the bottom of the picture and invite them into your third eye. Place one hand on the heart and one hand on the middle of the forehead….see what feeling or message enters in as your golden nugget gift today. 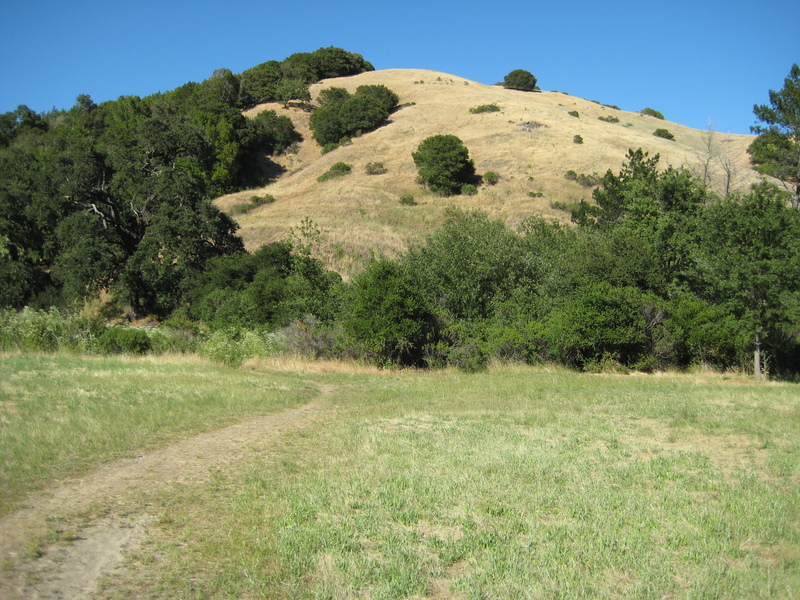 – These pictures were taken in Fairfax, California during my recent June visit: thanks go to my daughter Shannon for being my guide on one of her hill walks. – The green orb on top speaks to me of the heart, and the blue rod below of the mind. Then we have the purple light in between: spirit inviting a meeting of mind and heart. So may it be.